There’s nothing like cool weather to make me want soup! On a sidenote–I’m curious if anyone out there in blogland has experience with home pickling (of pickles, OF COURSE)? I am planning on doing some next week and will post my experience, but I’d love to hear what experiences, if any, others have! Today we had some garden grown vegetable beef soup and wow–especially with a couple dashes of tabasco–was it delicious!! This is another fantabulous soup we had a little while back. It’s an easy recipe that is a definite tummy pleaser. For those wary of cooking with alcohol, the cooking sherry in this recipe really adds depth but if you try it without let me know how it is! I’m sure it’s not a deal-breaker. Make sure to have all your ingredients next to the stove again because things get added in fairly quickly, and watch out for the white pepper! That can really spice things up–no joke! Also, I found that fresh mushrooms really work best for this recipe, and if you have to use dried, instead of soaking them in water to rehydrate, soak them in the sherry! Don’t those look like noodles?! They’re bamboo shoots! This recipe is gluten-free! 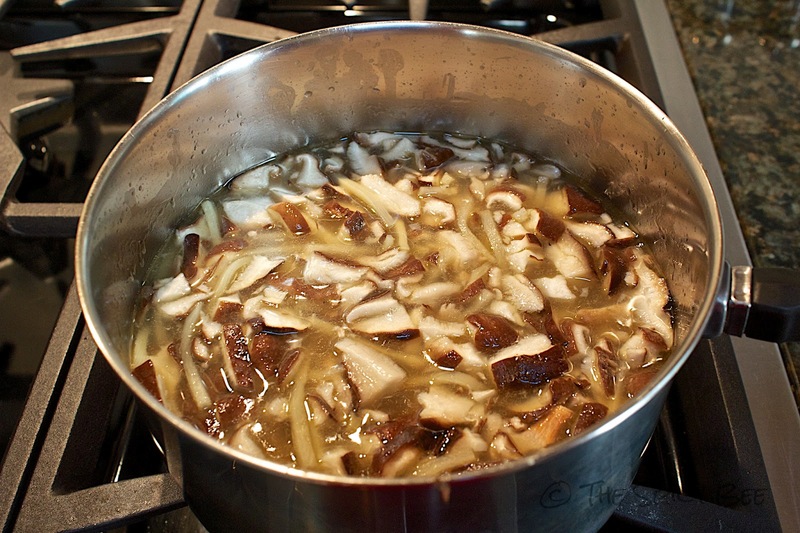 If using dried mushrooms, combine them with the sherry, steep for 30 minutes. In a 2-quart pan, heat chicken broth to boiling. 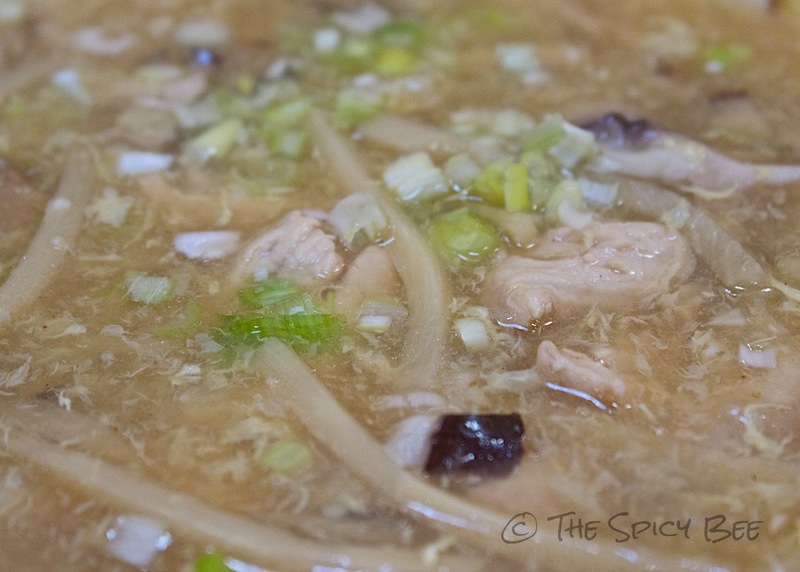 Add sherry, mushrooms (together if steeped), chicken, and bamboo shoots. Stir, then reduce heat; cover and simmer 5 minutes. Add wine vinegar, and tamari sauce; heat, uncovered, for 1 minute. Blend arrowroot powder and water. Add to soup and cook, stirring, until slightly thickened. Turn off the heat. Add pepper and sesame oil. Stirring continuously, slowly pour egg into soup. Sprinkle with green onion and salt to taste. Serves 4. Hmmm, considered adding lily buds? 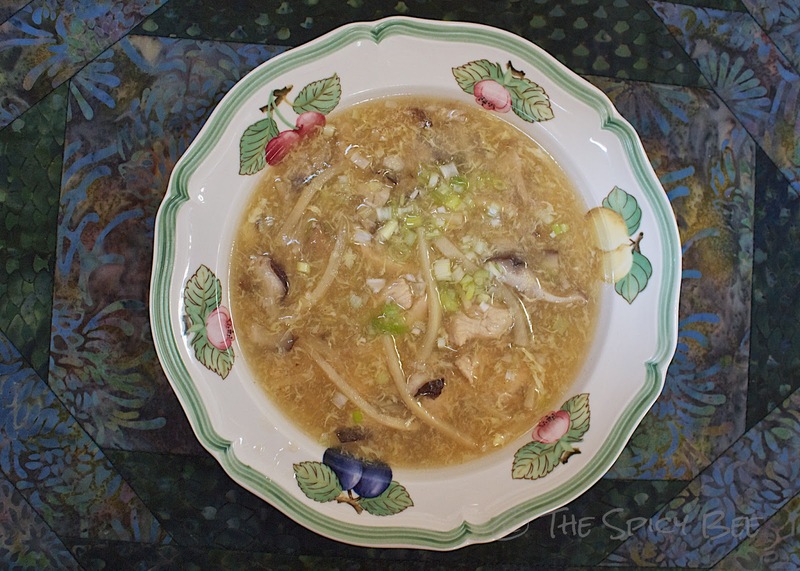 Must of the Hot and Sour Soups I have had include them. Yum! I’m excited about soup weather. Love the idea of the bamboo shoots. I’m doing my first round of pickling this week too. I’d love to hear any tips as well!